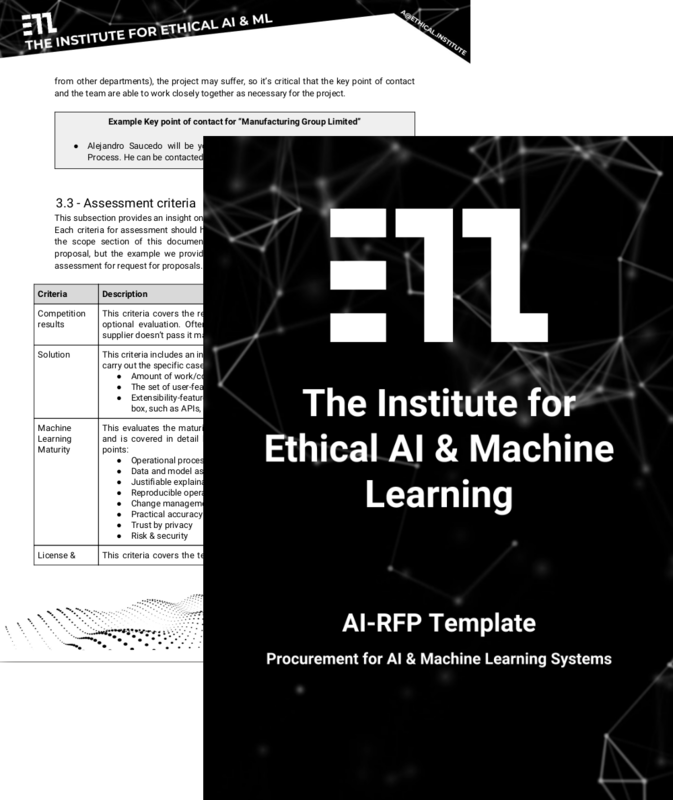 The AI-RFX Procurement Framework is a set of templates that were put together by domain experts to support industry practitioners looking to procure AI systems. The framework is fully open source and was built using our Machine Learning Maturity Model which evaluates the process and infrastructure, going beyond the AI algorithms. You can request a free copy of the AI-RFX Procurement Framework through the contact form below, which will include the AI Request for Proposal template, and the AI Machine Learning Maturity Model. 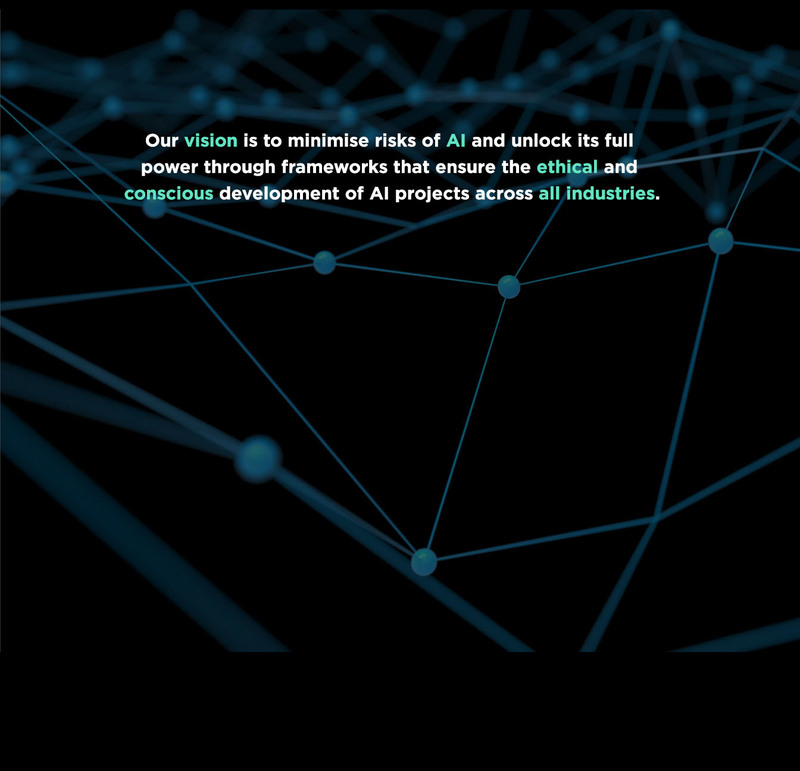 You can also apply to become a member of our Ethical AI Network (BETA) and get access to more resources, including reports, case studies, as well as invitations to exclusive events and round tables. The AI-RFX procurement framework has been put together by a group of domain experts. Its purpose is to ensure best practices in industry during the procurement, design, devleopment and deployment of machine learning systems in industry. This procurement framework goes beyond the machine learning algorithms. It provides a method to assess the maturity level of the technical infrastructure and processes around the algorithms themselves, by using our Machine Learning Maturity Model. The Machine Learning Maturity Model is a set of criteria which ensures that the core technical infrastructure and the right processes are in place. It provides the ability for key industry practitioners to set a bar for quality, safety and performance when procuring machine learning solutions. You can request to download a copy of the AI-RFX Framework through the contact form below, which contains this document as well.